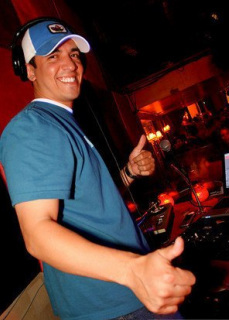 DJ Zeke began DJing in 1993, and has stormed the Santa Barbara club scene ever since his first club night at Alex's Cantina, reaching fame as resident DJ at SB's legendary Q's Nightclub. DJ Zeke has made his mark in Southern California by performing at various clubs and events in Los Angeles, Santa Maria, Phoenix and Rosarito. In 1996, he hosted the local radio mixshow "The Groove" at KCSB 91.9FM, which quickly became the #1 show for the station. DJ Zeke is one of Santa Barbara's highly sought after nightclub and event DJs, headlining at legendary local hotspots such as EOS, Tonic and Wildcat. His expertise as chief audio and lighting designer during the day makes him an invaluable asset to our team. Zeke is also one of our most experienced wedding professionals and can assist you in designing your event to suit your personal style.